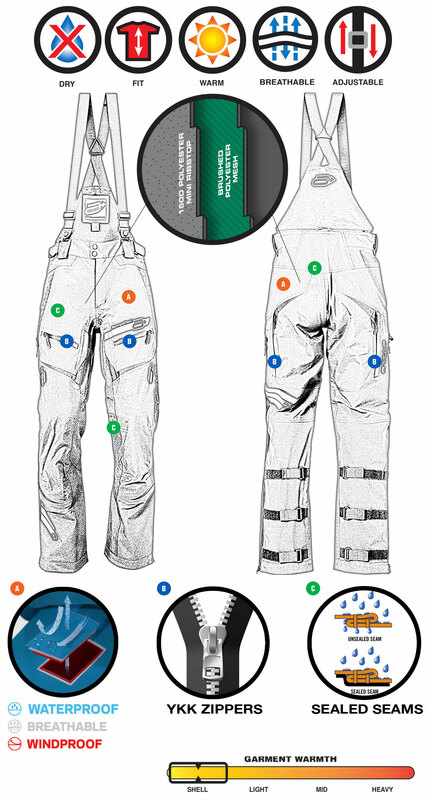 Sympatex 3 layer laminated fabric, seam sealing, and durable waterproof repellant coating on outer shell provides ultimate barrier against water, snow, and wind. Challenging deep snow conditions, side hilling, and steep climbing is technical riding in need of technical riding gear. The Vibe is a brand new jacket and bib designed for the most challenging backcountry snowmobiling. Athletic fit combined with durable Cordura® high wear areas and stretch main body fabric provides lightweight, strength and high mobility for super active riders.